You can expect to receive much praise and good will when you don this plus size medieval maiden costume at your next renaissance faire. Being a medieval maiden isn't all royal balls and that sort of thing. We've been to a Renaissance festival so we know. There's a lot of curtsying, and use of the word, "Thou" and you have to eat huge turkey legs and drink six dollar glasses of mead. Well, maybe some of that isn't quite right. 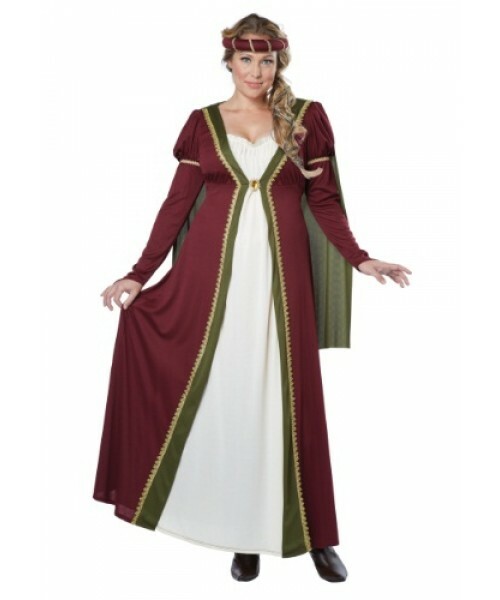 Either way, this medieval maiden costume is going to make your Halloween all the more regal! We just recommend that you stay away from Ye Olde BBQ Shack. We wouldn't go back there, no siree bob.